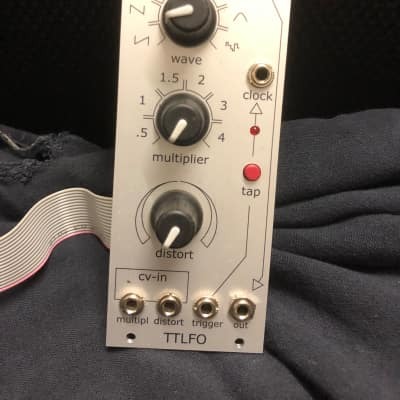 A clock synced LFO based around the Electric Druid TAPLFO chip. It's not the LFO you already know... It is synced to your master clock, or sync it with the taps you make on the tap button and it is quite useful as a taptempo master clock generator.